[Press Release Extract] The Restaurant & Bar Design Awards now in its tenth year is a globally recognised competition dedicated to the design of food and beverage spaces. This covers every imaginable hospitality space, from ships to airports, museums to burger vans, and from revered Michelin-starred establishments to the fleeting dynamism of pop-ups. Judged by a panel of some of the most influential personalities in design, hospitality and lifestyle globally, this annual edition of the Awards attracted over 900 entries from the UK and 70 other countries. Sean Connolly a restaurant in Dubai, UAE designed by Alexander & Co and Rosina, a bar in Las Vegas, USA designed by Simeone Deary Design Group (& Gensler) are the Overall winners of the 2018 Restaurant & Bar Design Awards. Another 36 category winners (including Best UK Winners) were revealed at the winner’s ceremony, which took place at London’s King’s Cross. 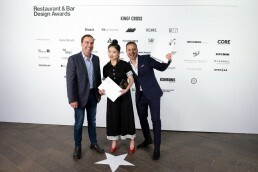 The Awards ceremony was attended by over 600 of the UK and world’s best designers and their clients responsible for the design of the most innovative food and beverage spaces. 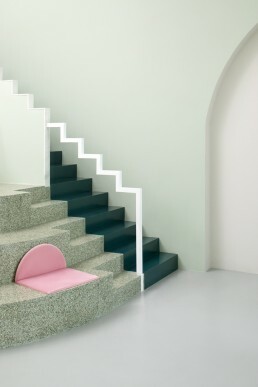 We are excited to announce we took out the Colour category for The Budapest Cafe. Congratulations to all the winners on the night! Find out more about The Budapest Cafe here.